I’m off to the North Shore tomorrow. That auto junk yard at Tofte has got to go.” How well the writer recalls the late Judge C. R. Magney’s anxiety to get back to his home on Lake Superior at the Caribou River each spring after his return to St. Paul from Africa or, perhaps, New Zealand, always full of ideas for another park or scenic highway project in his beloved north country. After a boyhood in the St. Croix Valley, where his father served several parishes as a Lutheran minister, followed by college at Gustavus Adolphus and law at Harvard, Clarence R. Magney (1883 – 1962) went to Duluth and immediately became a lifelong devotee of the North Shore when his first case took him to Grand Marais, then generally accessible only by boat. 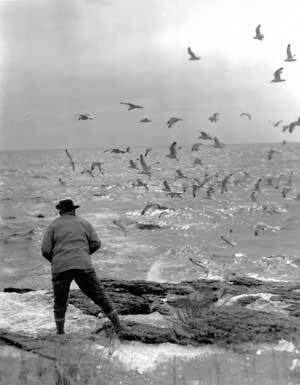 Mr. George Peterson of the Minneapolis Star-Tribune has already told the story (See “Conservation Volunteer”, Vol. 25, Sept.-Oct. 1962) of how Judge Magney, when he became Mayor of Duluth in 1917, became his own park commissioner, expanding the city’s park system to 6,00 acres and helping to double the size of Jay Cooke State Park. While Clarence Magney had a distinguished career as a jurist, first on the district bench at Duluth, then on the Minnesota Supreme Court as an associate justice and, after formal retirement, as a commissioner, it was, as George Peterson has said, in his role as conservationist that he will be remembered longest. The tangible evidence of what Judge Magney accomplished in his “spare time” during his years as a lawyer and judge is found, not only as the parks named after him in Duluth and at the Bois Brule or Arrowhead River, but throughout the length of the North Shore. The magnificent new highway through Grand Portage Indian Reservation is there because the Indians trusted Judge Magney and were finally willing to give the necessary right of way. 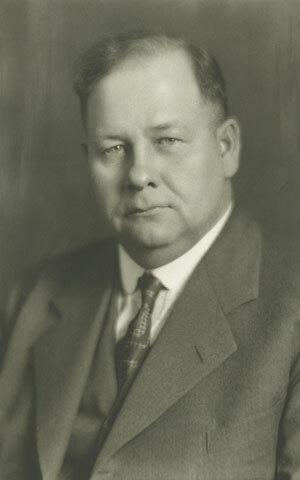 When Judge Magney died in 1962, he had not only completed his North Shore work, but had succeeded in creating the Minnesota Council of State Parks, an organization, of which he was the first chairman, through which other citizens may carry on his aim of creating a park system ample for all Minnesotans for generations to come. To those of us of the next generation whom he asked to serve with him on this Council he would way, “While my work is done and I cannot do more, I count on you to carry on.” He particularly charged us with securing the beautiful St. Croix, the river he knew so well from boyhood, against commercial development. He was most anxious that the river above Taylor’s Falls become a park and thus, in his favorite phrase, serve as a part of everyman’s country estate. May we, in the years immediately ahead, see to it that this is done. Someday soon, the full story should be told, not only of Brower, Latsch and Magney, but of the Lorings and Pillsburys of Minneapolis and of the many, many citizens of all backgrounds and circumstances, living, as well as dead, who have, by their generosity and efforts, made possible the Minnesota parks which have become the envy of so many other states. In the meantime, if those of us on the firing line in the years immediately ahead can, with the inspiration of men such as Brower, Latsch and Magney, persevere as they did, Minnesota can enter the twenty-first century with parks and open spaces adequate for the needs of that much larger, more leisured population which will then be with us.